Pernem is located in the north most part of the Western state of Goa in India. Pernem RTO ensures to maintain smooth transport amidst travellers throughout the year. Establishment of Pernem RTO is possible as per the provisions of Motor vehicle Act of 1988 . 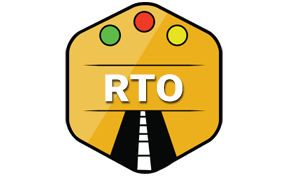 Transport commissioner manages tall the operations of RTO in Pernem. The objective of Pernem RTO is to control the traffic and ensuring swift flow of traffic. Pernem RTO manages the entire license process. From learning license, driving license, renewal of the license to international license it manages the entire operation. Learning license is applicable to all the people who just began to learn driving. For issuing the driving license there is a streamlined procedure that is followed. Aspirants need to submit all the mandatory documents and undertake the test to get the driving license. After successful accomplishment of the procedure, driving license is issued within a day. Pernem RTO also assists in license renewal as and when required. It also issues a new license in case of theft. International driving permits and license are also granted for smooth driving abroad. One of the major tasks of Pernem RTO is managing vehicle excise duty for all modes of transport. Tax slab varies based on the type of transport. Criteria of tax on four-wheelers are levied based on its cost. For two-wheelers, it's as per it's weight or engine capacity. Pernem RTO helps in organizing entire process by maintaining vehicles database for all kinds of vehicles in its vicinity. Pernem RTO facilitates online information management by porting available details on the online platform. It also manages all the appointment as and when scheduled. At the same time, it gives a speedy resolution of all the queries online itself. Pernem RTO assists in giving permission to all the commercial fleets and cargo. It also helps in the timely renewal of these permits. It also grants timely road permits for all kinds of vehicles. Special permission is given to all international & tourist vehicles as well. Pernam RTO is also responsible for maintaining rules of traffic and transport. It conducts timely verification of all the vehicles. Fine is imposed if someone doesn't possess mandatory documents. Legal action can also be taken if someone conducts crime with the vehicle. Pernem RTO is engaged in conducting all kinds of tests to issue the driving tests. It also manages vehicle emission tests to grant roadworthiness certificates to vehicles. The new car that is purchased in Pernem can get their registration copy ( RC) from Pernem RTO only. In order to get it, they just need to pay a nominal fee along with a few documents. Once these documents are verified RC copy is issued immediately. The Regional Transport Office (RTO), Pernem, North Goa, Goa - 403512.